In the Desert of Shur, three days travel from their Red Sea crossing, the Israelites discovered their drinking water unbearably bitter and they “grumbled”. Moses spoke to God and God guided him to a special plant, which when added to the water made it safe to drink. Afterwards, God led them to Elim where there was an oasis of twelve wells surrounded by palm trees. There the Israelites rested. In the Desert of Sin, the Israelites “grumbled” again to Moses and Aaron. Their food supply was limited and they reminded him how they had a plentiful supply of meat and bread in Egypt. Moses spoke to God and he returned to the people saying, God promises that you will have meat to eat tonight and in the morning a plentiful supply of bread. That evening, quail (a migratory bird) descended on the camp in huge numbers which they cooked and ate. 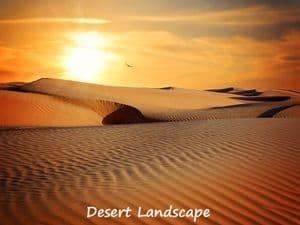 In the morning, the desert was covered with a “flakey substance” which they used to make a sweet bread they called manna. Thereafter, God scattered “manna” nightly in the desert and the people collected it every morning but on the sixth day, they collected a double portion so they could devote the Sabbath to God. In Rephidim, the Israelites “grumble” was that they had no water. 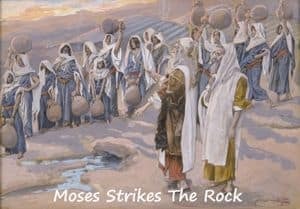 Moses again spoke to God and afterwards, he took some of the elders to Horeb, struck the rock with his staff and immediately water poured out. Wherever the Israelites went, God provided for their needs. Yet, many still questioned if they had done the right thing by following Moses out of Egypt! God graciously continued to provide a daily supply of manna for the Israelites for forty years, until they reached the land of Canaan. Lord Jesus, thank you for all the food received from your merciful bounty yesterday, today and tomorrow. Thank you, Lord, for the doors you have opened and the doors you have closed. Thank you, Lord, for forgiving me my failures and thank you for my faith. Amen. There are millions of migrants spanning our world. The majority are despised, alienated against and marginalised. Yet, they are our brothers and sisters, God’s creation! Pray for migrants.